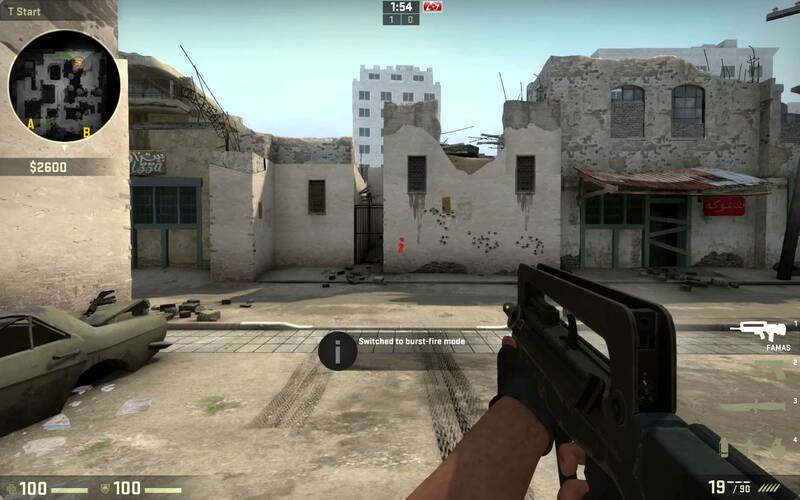 Each weapon in CSGO has its own unique properties and specialty, making choice of guns in the game boil down to play style and preference. Because of this, the game didn’t need to add new weapons on a regular basis. But after a closer look at the guns’ parameters, specifically the UMP-45 and the FAMAS, it seems like we do need a new rifle, and CSGO skins for it. So, why the need for a new rifle? Because a sub-machine gun has been doing the job of an assault rifle much better than the type of gun in question. In fact, there’s already this running joke about how CSGO players use three rifles: AK-47, M4, and UMP-45. At this point, you already got the joke. The reason this has been brought up is because when compared to the FAMAS, the CTs cheaper variant of the assault rifle, the UMP-45 is better damage-wise, especially with headshots. Not that headshot damage between guns make a difference; it’s just that if we are to be realistic, the headshot damage of FAMAS should be higher than that of the UMP-45. CSGO Skins: UMP-45 > FAMAS? Mind you, that’s not the only advantage the notoriously popular sub-machine gun has over the FAMAS. Another would be its higher accuracy as compared to the latter, especially when running and jumping. While it’s only fitting for that to be the case with UMP-45, it’s still very much an advantage. The UMP-45’s low price of $1500 also gives the gun an edge, as this makes the SMG a popular choice for players who are either saving funds, or have low funds. If this is the case, then what’s a good solution for this? Simple: a new rifle. Make it more powerful than the UMP-45 (and rightfully so), and make it more accurate than the FAMAS (but not as accurate as the UMP-45). Oh yeah, make CSGO skins for it too. In my opinion, that’s a rather brilliant idea. A snazzy new rifle and snazzy new CSGO skins. As well as renewed balance to the metagame. But what do you think? New ordnance or nah? Tell us in the comments section.